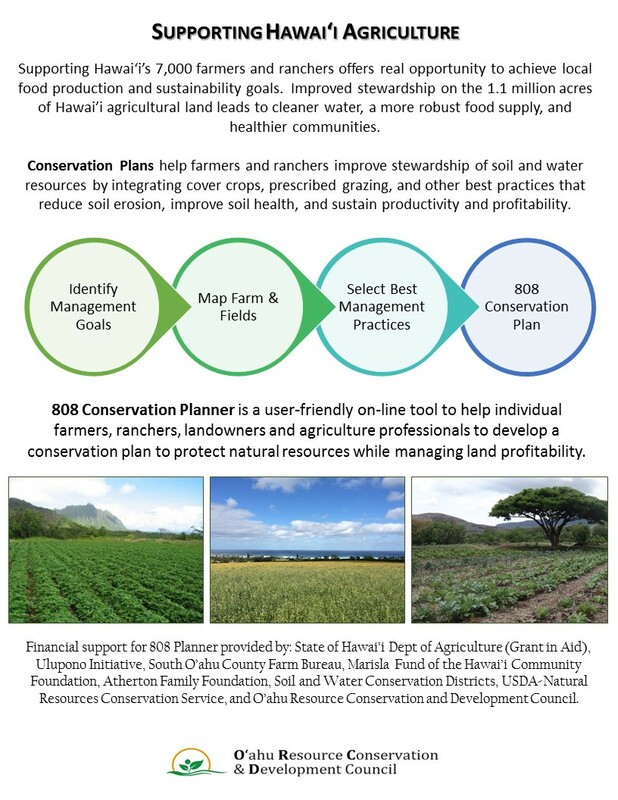 Oʻahu RC&D specializes in conservation planning and is pleased to lead a collaborative initiative to develop an online conservation planning tool that will assist farmers across the state. A conservation plan is similar to a business plan and identifies activities that protect and improve natural resources on agricultural lands; but only a small percent of farms have a plan in place. The online planning tool, known as “808 Conservation Planner”, will increase opportunities for farms of all sizes to access conservation information and planning tools. Click the video below to see a quick summary of 808 Planner in action.